Realme basically Oppo ka Sub-Brand hai jo first time India me for Experiment launch kiya tha And India me yeh kafi ziyada successful raha tha That's why Realme ko as a separate brand Internationally launch kar diya gaya, And Now Realme finally Pakistan me aane wala hai. Realme Pakistan me Oppo se bilkul separate work karega to Realme ke supplier separate honge Or Realme Offline or Online Market dono me aane wala hai to Realme Pakistan me Mobile Shops par bhi available hoga And Online Stores par bhi Realme ke Mobiles available honge. Realme brand normally Youth ko target karta hai that's why Realme ke launch hone wale Handsets normally Low Price me more Specifications ke saath aate hain Or yeh budget range mobile phones hote hain Or in mobile phones ki Specifications Amazing hoti hain. Realme ke India me launch hone ke bad Tech Reviewers ne btaya tha ke yeh Xiaomi Killer mobile phones hain B'coz Realme ke mobile phones kafi ziyada Xiaomi se compete karte hain, And Xiaomi ke mobile phones bhi Low Price me more Specifications provide karte hain. Pakistan me yeh expect kiya ja raha hai ke Realme ke Pakistan me launch hone se Pakistani Online Market ko kafi Boast milega B'coz yeh mobile phones ziyada Online Sales hote hain. Realme ki taraf se konse Mobile Phones Pakistan me launch honge iski koi confirmation to nahi mili But kuch new mobile phones hopefully Pakistan me launch honge And yeh mobiles Realme C1 & Realme 2 Pro honge B'coz in mobile phones ko Pakistan me launch karne ke kafi Reasons hain. 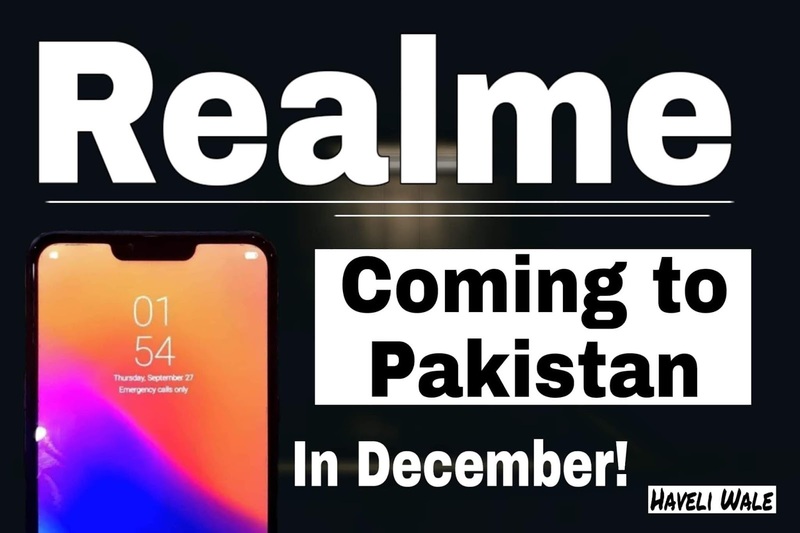 Realme C1 ki expected Price in Pakistan 16,000 to 18,000 ho sakti hai And Realme C1 is Price range me kafi Amazing device hai B'coz Realme C1 me 4,230 mAh ki Battery or saath Snapdragon 450 ka Processor milta hai And backside par Dual Camera setup, Front side par Amazing Display with Notch milta hai. Now Realme 2 Pro Realme C1 se kafi better device hai, In Fact Realme 2 Pro Pakistan me kisi or Brand se launch kiya jata to Realme 2 Pro ki Price 50,000 tak ho sakti thi B'coz Realme 2 Pro Mediatek Helio P60 ka Processor milta hai And Realme 2 Pro ke overall Features 50,000 ki Price range wale hain.